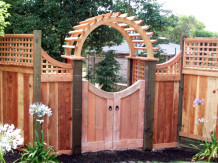 Whether it’s a small garden arch, an arbor, or a large pergola you are after, we have constructed many custom styles over the past several years. An pergola creates a relaxing outdoor space. 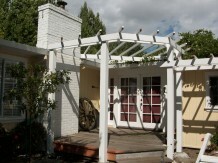 Creating shade, establishing an outdoor room or retreat. Create your dream space and we will build it. An arbor adds a focal point to an entryway or acts as the perfect home for your gorgeous climbing plants. Add a dramatic cottage look to your garden. They can be made solely from wood or a combination with other products such as vinyl, steel and composite materials.